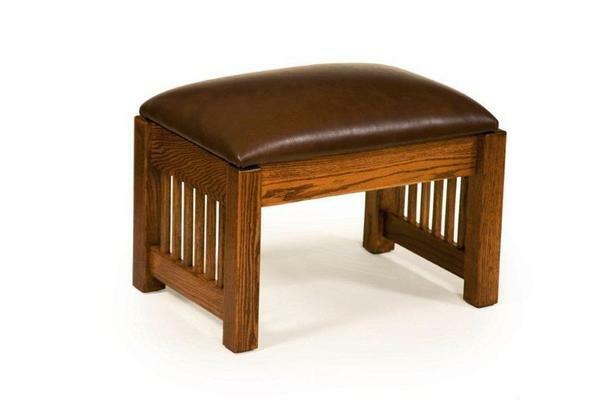 This Mission Ottoman from our Craftsman Collection is comfortable, sleek in its design, and affordable. It is handcrafted in the USA by the Amish. Only durable solid wood is used in the craftsmanship of this Mission Ottoman - choose from solid oak wood (our standard), cherry wood, or quarter sawn oak wood. A fabric cushion is standard on this ottoman, but an option for leather is available as well. Note: Customer can provide own fabric or leather, call for more information. 2/3 yards of fabric or leather is needed.